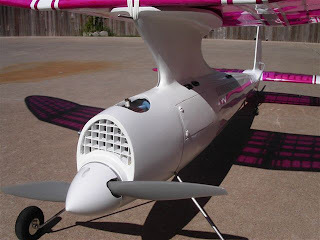 My good friend Bill Taylor, who lives up in Tulsa, Oklahoma, built his Sailplane shown below before I built mine last year. 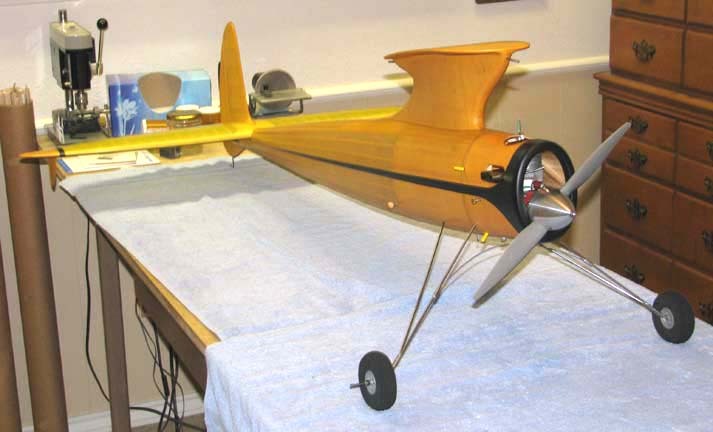 Bill was the guy who sent me his exhaust extension design when I was building my Sailplane. 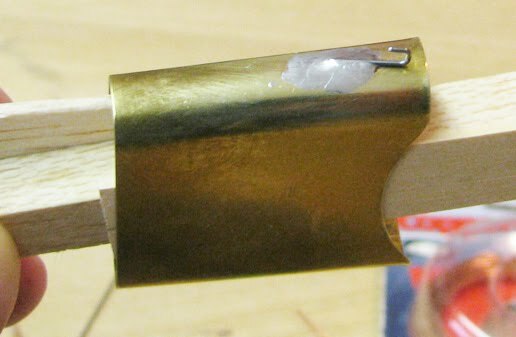 Bill developed his extension design for his Ohlsson 60 based on formed sheet brass stock, which was solder together with hooks on the side for spring retention. The design worked perfectly for his Ohlsson 60 installation. 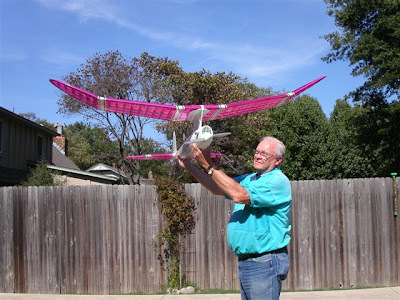 So he naturally used the same design when he built his Sailplane powered with a McCoy 60. 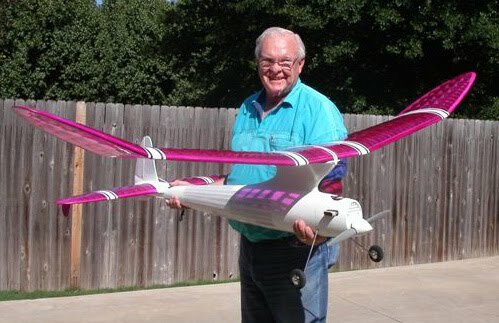 Due to some health complications and schedule activities, Bill had never had the opportunity to run his McCoy 60 until last week. First of all, thank you Bill. You may have very well saved my Sailplane from a fiery end. I have used Bill's ideas with a little twist of my own. 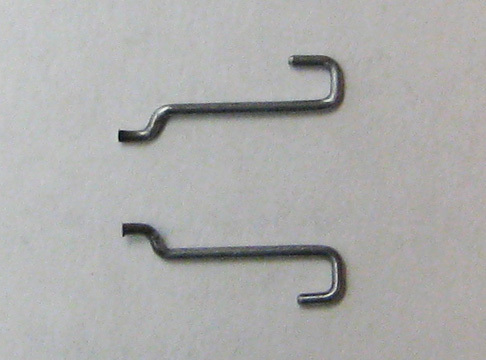 I selected .025" piano wire and bent up the two hooks shown below. As you can see, I put a "Z" bend on the ends that hook to the sides of the extension. 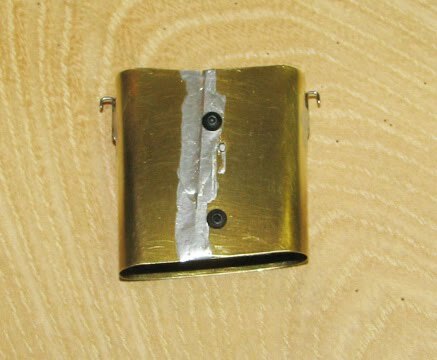 After unsoldering and removing my original hooks, I inserted the Z-bend into a hole in the side of the extension and used the spring jig shown below to position the hook while it was soldered to the extension. This is a close up of one of the soldered hooks. 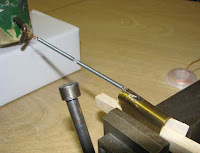 Even if the solder softens due to the exhaust heat, the Z-bend has the hook locked in place under spring tension. Next, as per Bill's suggestion, I drilled two holes through the extension's soldered lapped seam and inserted two 2-56 cap screws made up with lock washers and nuts on the inside of the extension. 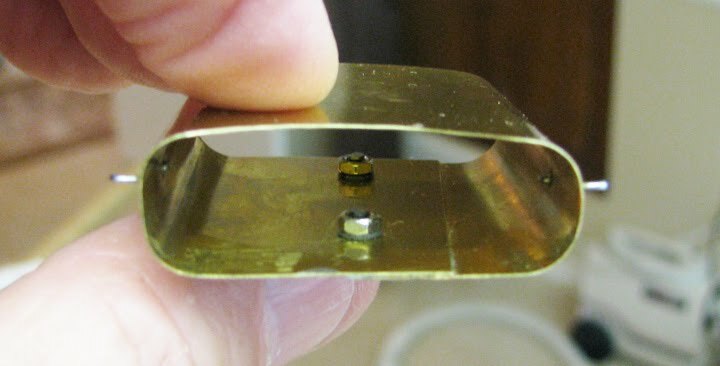 This picture shows the two lock washers and nuts on the inside of the brass extension that were easily tightened down with a small ignition box-in wrench. 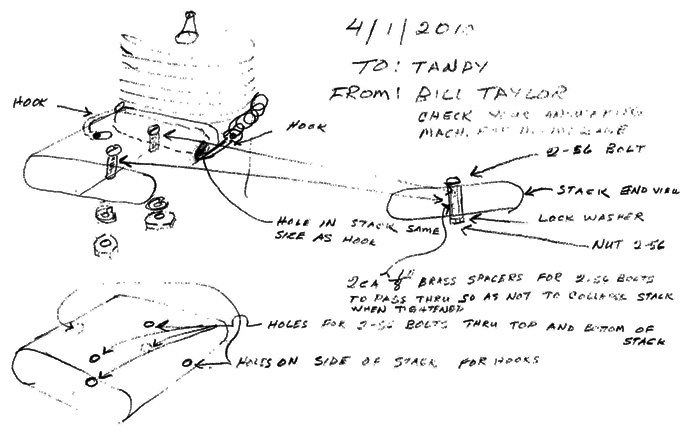 If you look close, you can also see the .025" Z-bend wires pointing forward inside also.